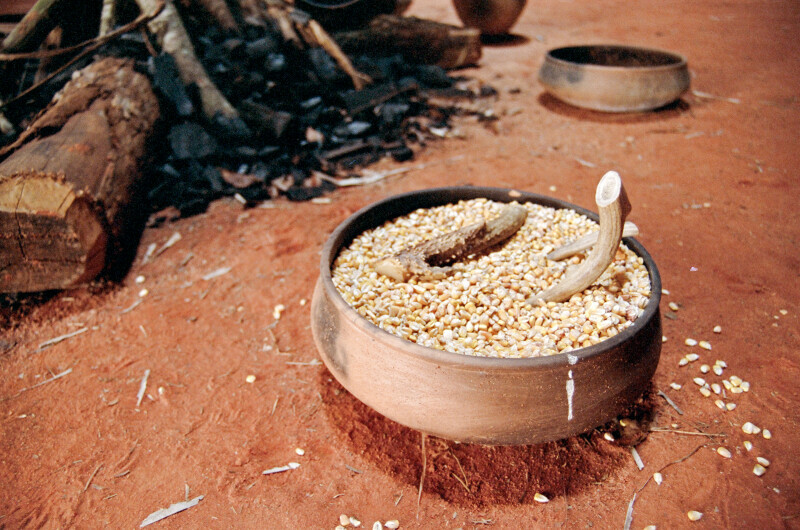 A bowl heavily laden with corn on the dusty floor of the chief's house at Mission San Luis de Apalachee. The bowl appears to be holding bone mixing implements. WARNING: You are about to download a 54.4 MB TIFF!